Disclaimer: I was sent a free copy of this book for review. 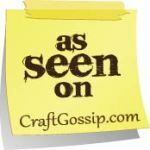 I was upfront that I only do honest reviews. 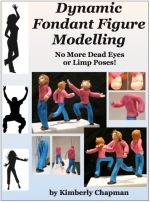 All opinions stated here are mine and I have not been paid or compensated other than the free copy of the book. The short version of this review is that Grandbaby Cakes is a really interesting book full of cake recipes, many of which are modernized versions of classic Southern US recipes. 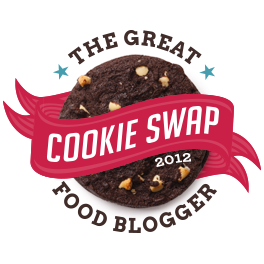 The two I tested were very tasty and on that basis alone I do recommend the book. However, I did find some editing issues that should give beginner bakers caution when proceeding with the instructions. 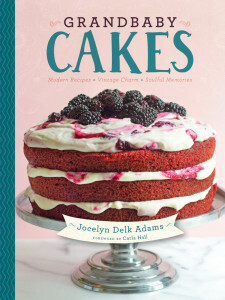 The book by blogger Jocelyn Delk Adams of Grandbaby-Cakes.com is rich with recipes and delightful family stories drawn largely from the author’s grandmother, referred to lovingly throughout the book as Big Mama. Big Mama’s cakes were the highlight of family gatherings and Adams has filled the book with her memories of learning baking arts first-hand from such a master. Adams gives a solid introduction to baking techniques, including thorough explanations of her preferences as well as giving readers latitude for their own preferences where applicable. She then takes readers on a journey through pound cakes, layer cakes, sheet cakes, baby cakes (aka cupcakes), celebration cakes, and finally seasonal/holiday cakes, all adorned with photos from her childhood. There’s an atmosphere of being invited over to family gatherings to peruse photo albums, listen to beloved stories, and eat fabulous food. When you read Grandbaby Cakes, you feel warmly welcomed into a delicious world of homey delights. My older daughter Peo wanted me to test the recipe for the S’more Lava Cakes and I probably should have while we were still in the US, since it looks like graham crackers will be impossible to find here in the UK. But I wanted to try the Cinnamon Roll Pound Cake and the Cornmeal Pound Cake, so those are the recipes I will specifically review. I’ve promised Peo we’ll make some version of the S’more Lava Cakes someday soon, possibly substituting digestives for the graham crackers. While we were still in the US, I had access to our big Kitchenaid stand mixer, my bundt pan, and all of the ingredients as listed for the Cinnamon Roll Pound Cake recipe, so I made that first while also packing up the house to move to the UK. In fact, this cake was the last thing we used the Kitchenaid for before selling it to a friend, since we couldn’t bring it with us to the UK (the electrical plugs are different here and not all electronics can be easily, safely adapted). The recipe is also available on Adams’ blog here, but there are some ingredient and instruction differences. In particular, the blog version calls for 3 teaspoons of baking powder while the book version calls for 1/2 teaspoon of baking soda – a significant chemistry difference. There’s also a lot less butter in the cinnamon swirl element in the book version. I’m reprinting the recipe below in its entirety as written in the book, as given permission by Agate Publishing as part of the review process. Bolded elements in square brackets are my additional notes, sometimes for international readership with varying measurements, other times to point out elements I believe needed better explanation. From Grandbaby Cakes, reprinted with permission. Preheat your oven to 325°F [162°C]. Liberally prepare a 12-cup Bundt pan with the nonstick method of your choice. In the bowl of your stand mixer fitted with the whisk attachment, beat the butter for 1 minute on high speed. Slowly add the granulated sugar. Cream together for an additional 5 minutes, until very pale yellow and fluffy. Add the eggs 1 at a time, combining well after each addition and scraping down the sides and bottom of the bowl as needed. Turn your mixer down to its lowest speed and slowly add the flour in 2 batches. Add the salt and baking soda. Be careful not to overbeat. Add the sour cream, oil, and vanilla extract. Scrape down the sides and bottom of the bowl and mix the batter until just combined. Be careful not to overmix. Set the batter aside. In a small bowl, whisk together all the ingredients until well combined. Set aside. Pour 1/3 of the batter into the prepared pan. Drizzle 1/2 of the cinnamon swirl over the batter. Using a butter knife or skewer, swivel the mixture thorough the cake batter, creating a flourish pattern. Repeat with the rest of the cake batter and cinnamon swirl. Top with the remaining batter. [This uses the remaining batter twice. I believe Adams meant to say use another third of the batter, then the rest of the cinnamon swirl, then top with the remaining third of the batter. 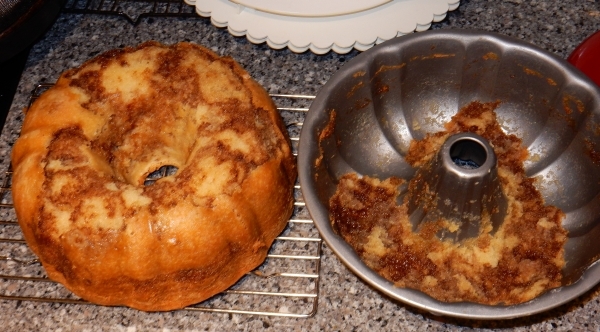 This is why I advocate that newbie bakers thoroughly read recipes first, or else they might pour in the rest of the batter and end up with cinnamon swirl on the surface, not mixed into the interior of the cake.] Bake for 75 to 85 minutes, or until a toothpick inserted into the center of the cake comes out mostly clean. Clean your stand mixer bowl and whisk attachment. Beat the cream cheese and butter for 2 minutes on medium-high speed. The top was very sticky to the touch as well, so it’s no wonder it stuck to the pan. It wasn’t baked on so much as wet-glooped on. I was able to peel the top out and loosely put it back on the cake, and then pour the glaze so that it helped anchor the top down. The glaze came out a bit lumpy despite lots of mixing, but it tasted good anyway. Overall despite some typos in the recipe, this cake was delicious. Everyone in our household loved it. The texture is very fine and it has a good flavour without being overly sweet. I will definitely make this recipe again. 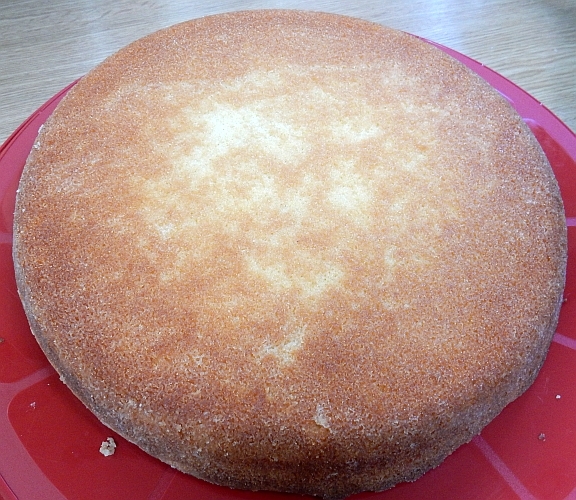 The second recipe I chose to review was the Cornmeal Pound Cake, which I decided would be a good fit for when we first got back to Cambridge because even though the recipe called for using an electric mixer – something I still don’t have in Cambridge but hope to acquire in the next few weeks! – I was reasonably certain I could hand-beat the recipe well enough based on the ingredients. Further, we have a 10-inch cast iron skillet in Cambridge whereas the one in Austin (currently on the shipping container) is a 12-inch. I also had found cornmeal in the UK already, and noted that it’s often sold as “polenta”. It comes in different coarseness levels and the stuff I had on hand was fairly fine, so I thought it’d be a good test of the recipe to see if it’s flexible enough to handle various types since no doubt the regular cornmeal called for would be more coarse. I didn’t feel like buying a large container of buttermilk just to use 1/3 cup, so I substituted about 1/3 of a tablespoon of vinegar mixed into 1/3 cup of whole milk instead. This is a standard substitution for buttermilk, and works with lemon juice instead of vinegar as well. Knowing that I was tampering with the recipe and thus ensuring to evaluate it fairly on that basis, I proceeded. 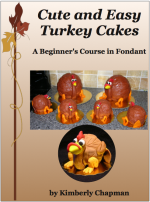 Again, the book version of the recipe differs from the blog version, especially in terms of leavening. The book version also has a honey-butter glaze, which I made as directed. As above, my notes appear bolded and in square parentheses. Preheat your oven to 350°F [177°C]. Liberally prepare a 10-inch cast-iron skillet or round pan with the nonstick method of your choice. In the bowl of your stand mixer fitted with the whisk attachment, beat the butter for 2 minutes on high speed. Slowly add the sugar. Cream together for an additional 5 minutes, until very pale yellow and fluffy. Add the eggs 1 at a time, combining well after each addition and scraping down the sides and bottom of the bowl as needed. Pour the batter into the prepared skillet or pan and bake for 35 to 45 minutes, or until a toothpick inserted into the center of the cake comes out clean. Set aside to slightly cool. Lightly cover the cake with foil or plastic wrap so it does not dry out. Whisk the butter and honey together until well blended. Serve the cake with the glaze spooned over each portion. Very nice browning all over for an impressive-looking cake. That’s a variance in browning on the bottom…it didn’t stick to the pan AT ALL. My husband and I were incredibly impressed that I could just flop a cake out of the cast iron like that. Goop rules! I made this in the late afternoon and then served it for dessert after dinner, and everyone in the family really liked it. A slice of the cornbread pound cake with the honey-butter glaze on top. 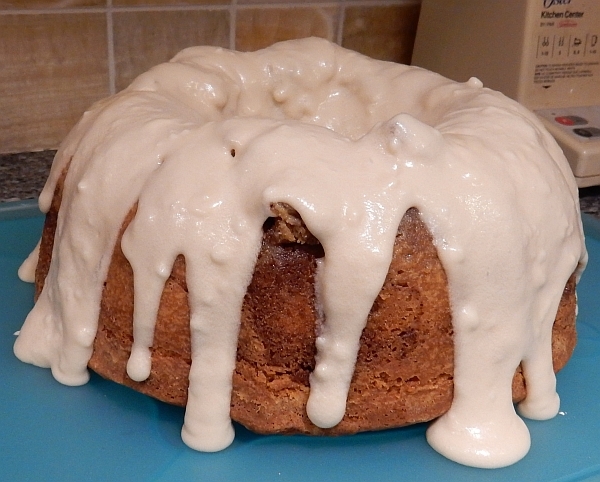 My husband and I agreed that it didn’t have as fine a crumb as the cinnamon roll pound cake, and we further agreed that if I made this again with a mixer and a sifter, it probably would. But even without those things, it was quite nice. The finer corn meal does not seem to have made it dry, but I’m going to try to get some coarser polenta for the next time I try it to see what it’s like that way as well. 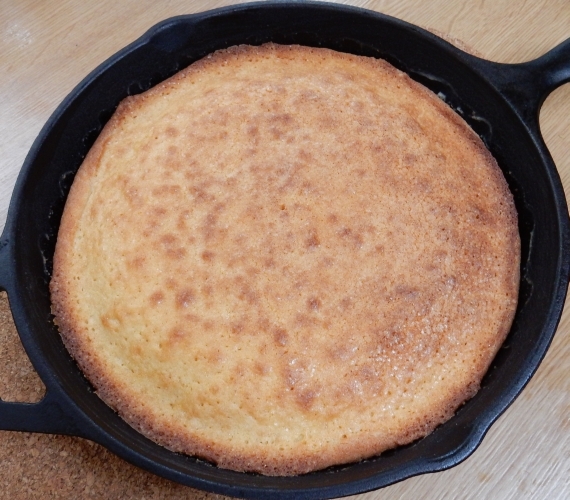 It’s a really nice dessert version of cornbread. My toddler is currently obsessed with cornbread and cake, so when we gave her some and told her it was both, she made baby-woot type noises, and then shoved it in her face. It would make a fantastic dessert after a barbecue. In conclusion, if you’re looking for a really charming, homey, friendly cake recipe book full of interesting Southern-inspired recipes, Grandbaby Cakes is a good buy. Even though it comes from a blog, the recipes have been altered for the book so you can’t just get them all for free on the blog. Inexperienced bakers should be cautious as some instructions are not written as clearly as they could be, but with some common sense, Googling, and careful checking as you go, you should be fine. 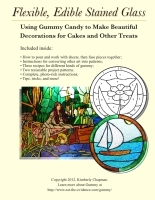 This entry was posted in Book Reviews, Links, Other People's Recipes, Products. Bookmark the permalink.